LiquidSky: PC gaming on your fingertips – is this the future of mobile gaming? How would you like the idea of a smartphone which is just as powerful as a gaming PC? Well, you already have it – kind of. With LiquidSky, you can run full-fledged PC games on your phone. Let’s check it out! This article refers to those who don’t have a gaming computer in their home and wish to play PC games on their smartphone. If you already own a gaming computer then this is not for you. In cases like these, you can use local streaming software like Moonlight or Steam Link. But, if you already have a computer, then why bother streaming the games to your phone when you can play them natively? Anyway. If you wish to play computer games on your smartphone without actually buying a gaming computer, then keep on reading! 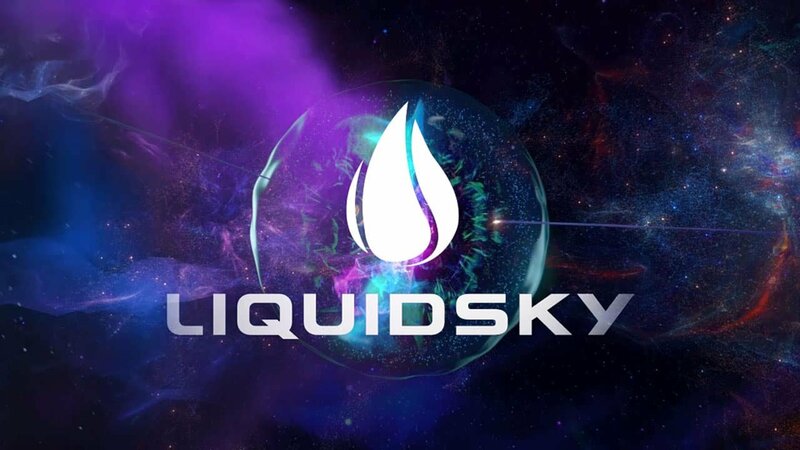 LiquidSky is a cloud-based gaming solution. The concept is very simple. These guys host a full-fledged gaming PC and you can play games on it wirelessly by using your Android smartphone. Technically speaking, you’re playing the games on a PC and not on your phone. But, do you even care? From your POV, it’ll be as if you’re natively running a PC game on your Android. That’s all there is to it really. A remote computer that you control with your phone by using the app/client. For the best results, a gamepad is recommended. Both LiquidSky and Updato recommend using a Gamesir gamepad as it works flawlessly on Android. You can go with either the G3S or the G4S depending on your budget. There’s also the G3W but it doesn’t support a wireless connection. So, it’s probably better to just spend a few extra bucks and go with the wireless options. Mobile gaming has been advancing rapidly over the past couple of decades. We went from playing Tetris and the retro Snake game to realistic looking games like Asphalt. As if that wasn’t enough, now we can even use our phone to play older console titles like GTA San Andreas. And don’t get us started with emulators. Still, no matter how much time passes, the harsh reality is that PC gaming will always be at least one step further. Computers simply have more processing power and better thermal management which essentially allows them to always stay ahead. The problem is that a gaming PC costs a lot of money. If you’re looking at mid-range options, that’ll be more or less about $1000 depending on your choice of hardware and peripherals. A mid-range phone, on the other hand, will cost you anywhere from $180 to about $700 and that mostly depends on what you consider as mid-range. Imagine if we could have all this power on our phone. 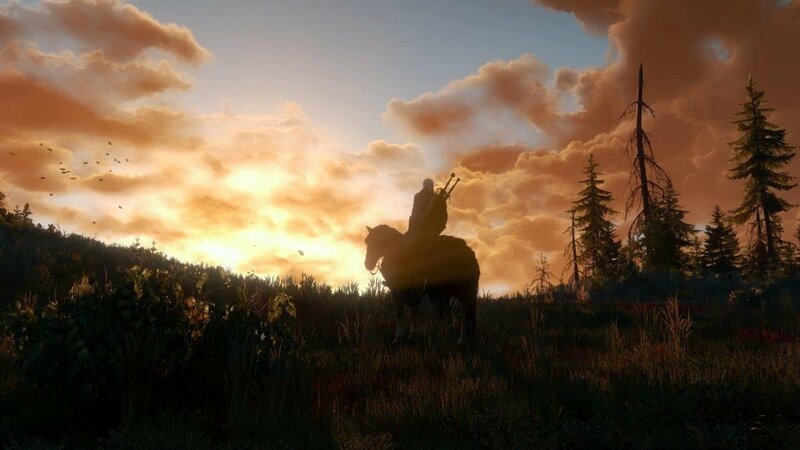 Imagine running games like The Witcher 3 without an issue – without having to spend extra money on a gaming PC. Well, now we can – by using LiqudSky. From our perspective, that’s how LiquidSky is useful. It basically allows you to play PC games on your phone without the need of having a computer in the first place. Again, technically speaking, you’re not really running the games on your phone but on a computer. However, that doesn’t change the fact that you can experience PC gaming on your phone with a minimum budget. As always, nothing comes for free. LiquidSky offers 3 plans to choose from and you can go with whatever you need. The cheapest plan is 15 bucks while the most expensive one is 30 and that’s without including VAT. The beginner pricing plan costs 15 bucks and is a one-time payment only – meaning that you don’t have to pay anything else in advance. It gives you 25 hours of gameplay and 200 gigabytes of storage. Prestige+ costs $25 a month, gives you up to 1440 hours of gameplay per year, and 750 gigabytes of storage. Other than that, you also get priority customer support and the Founder’s Club badge. The Prestige+ is actually billed annually. So, the way we see it, the only way to get this plan is to pay $300 upfront. With that being said, maybe you should first try out the beginner plan to make sure that LiquidSky works for you. At the moment, there’s no free trial. But, more on that later on. 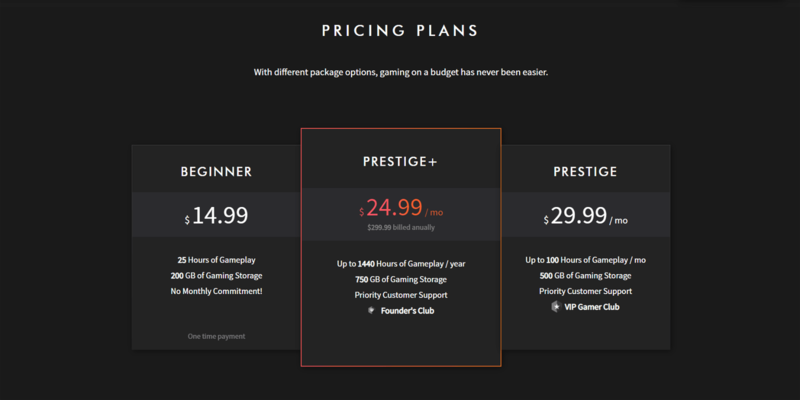 The last pricing plan is called Prestige and it costs $30. It gives you up to 100 hours of gameplay per month and 500 gigabytes of gaming storage. Furthermore, you also get priority customer support and the VIP gamer club badge. Prestige is a monthly plan. So, if you find out that you don’t like it anymore, we suppose that you can cancel the billing at any given point. It would be nice if we could get a free trial before buying anything. But, the developers are saying that server support is just too expensive for them to give us a free trial. So, your best chance is to spend the $15 and try it out for yourself. But, before doing that, you need to meet some requirements. Of course, the first thing that you’ll need, apart from your phone, is a good internet connection. You can use 4G, but do keep in mind that high-quality video streaming takes quite a lot of bandwidth. A wired connection is preferred. But, last time we checked, using an Ethernet connection on Android devices is generally a bit of a hassle and is not guaranteed to work. So, your best bet is Wi-Fi. The Wi-Fi needs to operate at 5GHz as 2.4 has a high chance of interference and packet loss. In terms of speed, LiquidSky recommends at least 5Mb/s and ideally 20Mb/s. With that being said, most of us are between the 2.4/5 range. So, Internet speed is most certainly going to be an issue for a lot of people as LiquidSky depends a lot on it and many of us are just not there yet. We really hope that the developers will do something for this in the future. Maybe let us sacrifice a bit of quality for streaming stability or something along these lines. Other than that, you’ll also need to own any game that you want to play on Steam. If you don’t own anything, then you can look for free to play titles. Otherwise, wait for one of the big Steam sales. You can grab some awesome games during the sales from 1 to 5 bucks. Last, but not least, a Gamepad is optional but very useful. Both LiquidSky and Updato recommend using a Gamesir gamepad as it works flawlessly on Android. You can go with either the G3S or the G4S depending on your budget. There’s also the G3W but it doesn’t support wireless connectivity. So, it’s probably better to just spend a few extra bucks and go with the wireless options. The process is pretty straightforward. First, head to the Google Play Store and download the LiquidSky app. After the installation is completed, make an account and use a real e-mail so that you can verify it. After your account is ready, all you need to do is pick the pricing option that best suits you, log in to your Steam account, install your games into the remote computer, and start playing. Use a gamepad if you’ve got one. Again, if you don’t own any games on Steam, then you can either look for free options or buy something. If you find that the games that you like are too expensive, then wait till they go on sale. Though we have to warn you, not all games go into big sales. For an example, Nier Automata has never dipped below 50% of its full price. As a last resort, Humble Bundle is also a good choice for starters as it gives you a bunch of games only for 12 bucks per month. With that being said, don’t even attempt to pirate anything as LiquidSky doesn’t allow it. In fact, if you try it, you may even end up with a banned account. Just saying. Before moving on, don’t forget that as of writing this article, LiquidSky is still in Beta. So, don’t get surprised if you experience any glitches and stuff like that. Could this be the future of Android gaming? What you’re looking at here is not a real person – nor a pre-rendered image. 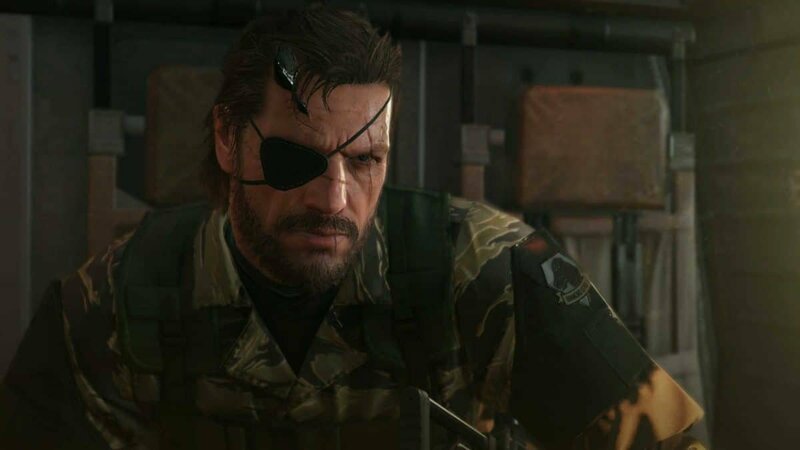 This is real-time gameplay of Metal Gear Solid V on PC and LiquidSky brings that to the mobile world. So, there is no doubt that LiquidSky has a lot of potential. After all, it allows you to play full-fledged PC games without paying for a gaming computer – and everything happens on your fingertips. However, at the moment, the Internet speed requirements are a bit too high. Not to mention that the pricing can also get a bit unreasonable – especially if you are intending to buy games at their full price. So, will LiquidSky be the future of Android gaming? Maybe. 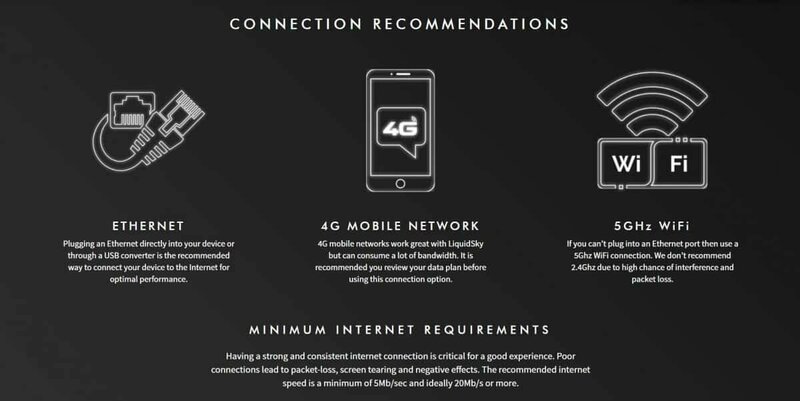 If the average Internet connection speed increases and cheaper pricing options come up, then the future of mobile gaming is definitely going to massively change for the better. But, in its current state, LiquidSky simply doesn’t have that level of importance. It only has 6 data centers across the world with 2 of them being in Europe, 3 of them in the USA, and 1 in Asia. And again, your average person just doesn’t have the required Internet speeds. Feel like we got something wrong? Forgot to mention something important? Then let us and everyone else know about it in the comments section down below!